The executive body of the Crimean Tatar people is considered an extremist organization in Russia. The Russian Federal Security Service (FSB) briefly detained a member of the Crimean Tatar self-styled government Mejlis (Majlis), Ilmi Umerov, on 13 May, Mejlis's deputy head Nariman Dzhelyalov has said on Facebook. "An FSB investigator served Ilmi Umerov with a written pledge not to abscond. Now we are heading for his house as FSB officers will search it. Afterwards, he is likely to be left at home," Dzhelyalov said. 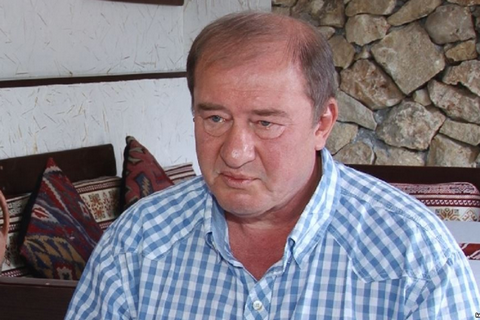 Earlier in the day, Umerov said on Facebook that the Russian FSB had detained several Crimean Tatars in Bakhchysaray. They were arrested on suspicion of alleged involvement in the organization Hizb ut-Tahrir. "They detain people, who are faithful Islam believers. The presumption of innocence is out of question because the prosecutor and courts in the so-called Republic of Crimea are now serving the occupant authorities," he said. According to the 15 Minutes website, which is close to the Mejlis, four Crimean Tatars were detained as a result of searches in the town of Bakhchysaray. According to TASS, a criminal case was opened against Umerov on charges of extremism. "He is suspected of making public calls and actions aimed at challenging the territorial integrity of the Russian Federation," the agency quoted the head of the Moscow-controlled prosecutor's office of Crimea, Natalya Poklonskaya,as saying. Earlier today, the European Parliament condemned the Russian ban on the Mejlis. MEPs strongly condemned the decision of the so-called Supreme Court of Crimea on 26 April 2016 to ban the Mejlis, the legitimate and recognized representative body of ethnic Crimean Tatars. They demanded an immediate reversal of this decision, which they say constitutes "systemic and targeted persecution of Crimean Tatars" and "is an attempt to expel them from Crimea, which is their historical motherland".